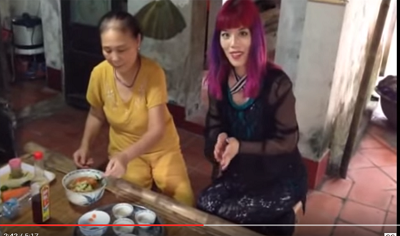 VIDEO: Travel journalist and blogger La Carmina discovers the incredible food of Vietnam. She visits a local market outside Hanoi, and takes cooking classes with a village family. Watch as La Carmina and John Skeleton learn how to make sprint rolls and other traditional dishes. VIDEO: What is Hanoi beer? Is it only beer? No, it's culture of Hanoi.. Address: No 3, Phan Huy Ich str, Badinh, Hanoi. ( HoangHD ) Copyright © 2010 VietnamFoodTour.com. All Rights Reserved.